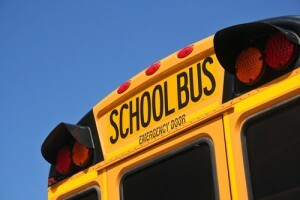 A fatal school bus accident last week has prompted a lawsuit alleging unsafe conditions for the bus’ lack of seatbelts. The details here are sad. The 60 year old school bus driver and a five year old little girl were killed in the crash. The bus, which struck a bridge, was carrying approximately 50 children, ages 5-16. A suit has now been filed by the family of three of the injured children, with injuries ranging from a broken leg to claims of post-traumatic stress. The suit claims that the bus company failed to inspect the school bus for defective and unsafe conditions, including the lack of seatbelts, though a state police investigation determined that the bus was in fine working condition. The suit further alleges that the company failed to “discover, determine, and /or monitor the health conditions” of the school bus driver, though an autopsy revealed no signs of a medical condition that may have caused the driver to strike the bridge. This is obviously only one of many more suits to come. The accidental death of anyone, especially a child, prompts frustration and anger, but I’m not sure how the unsafe claim for the bus’ lack of seatbelts will play out. In cases like this, I always wonder about the rush to file a lawsuit. The lawsuit claims post-traumatic stress. More that possible, post-traumatic stress is probable. But how do they know there will post-tramatic stress worth mentioning in a complaint unless we see how it plays out. Rarely, in my opinion, do you need to file a lawsut so quickly in an accident case. Why does it happen then?